Weber-Stephen Barbecue Products India Private Limited ("Weber") maintains this site (the "Site") for your personal entertainment, information, education, and communication. Except as otherwise provided, the Terms are subject to change at any time with 30 days prior notice and your continued use of our Websites after any changes have been implemented constitutes acceptance by you of such changes. You may download material displayed on the Site for non-commercial; personal use only, provided you also retain the copyright and other proprietary notices contained on the materials. You may not, however, distribute, modify, transmit, reuse, report, or use the contents of the Site for public or commercial purposes, including the text, images, audio, and video without Weber's written permission. Although every reasonable effort is made to present current and accurate information on this website, Weber does not assume and hereby disclaim any liability to any party for any loss, damage, or disruption caused by errors or omissions, whether such errors or omissions result from negligence, accident, or any other cause. 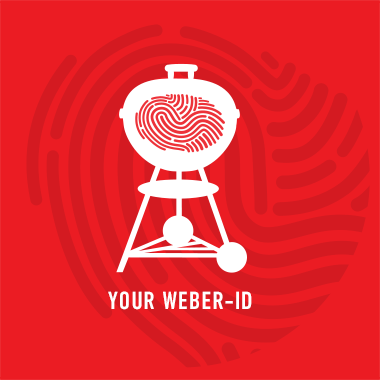 Visuals, images and specifications depicted in this Site may not necessary represent the actual Weber products (grills and accessories) sold in your local market. Please consult any Weber Authorized Dealer in your local market for further details. Products and grills depicted in this Site may not necessary be available in your local market. Please consult any Weber Authorized Dealer in your local market for further details. Weber may not necessarily have reviewed all of the sites and materials linked to the Site and is not responsible for the contents of any off-site pages or any other sites linked to the Site. Your linking to any other off-site pages or other sites is at your own risk. Weber may at any time revise the Legal Notice and Disclaimer T&C, by updating this posting. You are bound by any such revisions and should therefore periodically visit this page to review the then current Legal Notice and Disclaimer T&C to which you are bound.